One of the top areas of concern in the healthcare industry, according to recent research and reports, is the rising cost of operations. It is no surprise that hospitals need a vast reservoir of resources to keep running while providing quality care to patients. Healthcare is a costly business and oftentimes, the operational costs far exceed the revenues. This article offers a few tips and tricks for hospitals, clinics, and healthcare providers to cut cost and increase revenues. Healthcare is not just a business, it is a responsibility. That is why economizing on the hospital budget is a task of great responsibility. One wrong step could lead to poorer service quality and the reputation of your brand can take a beating. A good budget plan should be two-pronged- it should make sure that the present operations of the organization keep running smoothly, and it should eliminate overhead costs and wastage due to an inefficient handle of the operational and management costs. A cost-efficient Hospital Information Management System(HIMS) for medical college, hospital, clinic, diagnostic centre or other healthcare facilities will be able to assist to effectively cut costs and expand revenue procurement opportunities for the organization. It is a good idea to review your staffing plans every few years. As the hospital goes through changes and healthcare trends, staffing requirement to keep changing. Posts that have become redundant should be removed and skilled employees should be reassigned to new posts that may open up. This will save your organization the cost of hiring from the market at current rates. When you go for a reshuffle of the budget, many feathers will be ruffled necessarily. You can dodge grumbly employee syndrome by simply making them a part of the downsizing process instead of just informing them about the cuts. Be open to your employees about your plans to economize on the budget and ask for feedback on how to cut costs. You will be surprised by the enterprising ideas coming from your staff! After all, these are the people most intimately involved in the functioning of the hospital and their ideas would be tailored to the specific conditions and requirements of your organization instead of generic ones. A happy side effect of such an approach to cost-cutting is higher employee satisfaction. It is vitally important to first identify, and then target and eliminate unnecessary expenses from your budget. Look closely and you will be surprised by the redundancies cropping up in your budget report. Often overlooked areas like lighting, water cooling, and irrigation systems, transport and such can be opportunities in waiting for big savings! Find out your organization’s strengths and areas of potential growth. Make growth plans based on opportunities for efficiency. Deliberate over your findings and invest in areas where you think the organization will make significant gains and cut costs in areas where redundancies crop up frequently. Long-term planning is a necessary step for increasing revenues. A productive HIMS for the medical college, for example, will help highlight areas where the college is losing revenues like student and patient records and where gains can be made, like inventory management. Make regular budget reports a part of your schedule. Keeping an eye on the budget will help you keep up to date with your organization’s current position. It will let you know whether you are meeting staffing and service targets and eliminate where necessary. It is imperative to know yourself and your competition in any field, and healthcare is no different. Make periodical reviews of your organization’s old records to see if you can find areas where the hospital has consistently lost revenue or made gains. Also, peek into your peer hospitals’ records to find areas with potential cost-cutting opportunities. Identify and target key productivity problems specific to your organization like a poor implementation of inventory management and staffing plans, and find solutions in a time-based manner. Eliminate redundancies in staff management, accounting, revenue cycle,, information technology, marketing, legal matters, material management, and other hospital management resources. This will improve operational flow and yield great savings. This is another area where a good HIMS for dental college, medical colleges, hospitals, clinics etc. Can work wonders as it aggregates and streamlines extensive data into comprehensible information. Some of the best cost effective HIMS software providers in India are Tenwave, Insta Health Solutions, Meditab among others. Implement a wellness and disease management program for your employees. This may sound like a drain on your resources rather than a skimping strategy but you will be amazed by the results. 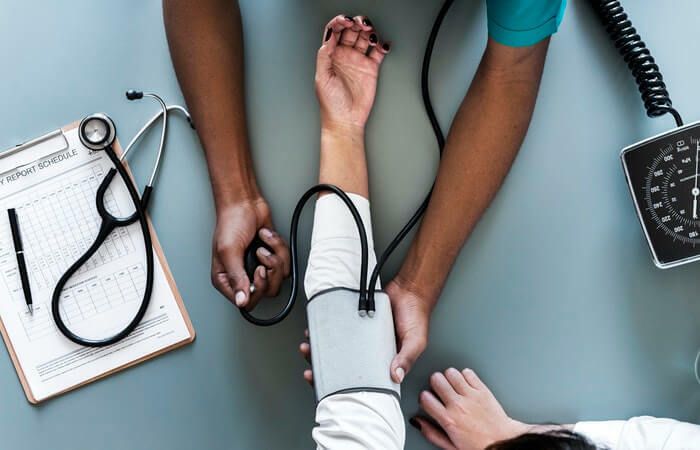 Wellness programs and premium cuts for reaching growth targets for employees will ultimately lead to healthier employees, and consequently, save your organization tons of money on medical insurance. Another positive effect will be higher employee satisfaction which will automatically result in better performance and outcomes. We hope these tips will help your organization cut costs and reach revenue targets without compromising on the quality of healthcare provided to your customers.